ELNA: An art museum in the south of France has discovered that more than half of its collection consists of fakes, in what the local mayor on Sunday described as a “catastrophe” for the region. 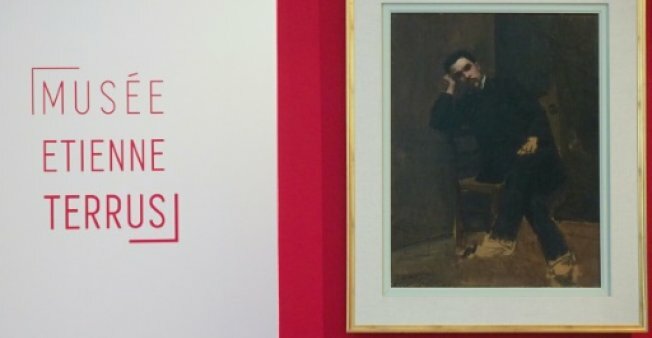 The tiny 8,000-strong community of Elne just outside Perpignan re-opened its Etienne Terrus museum, dedicated to the works of the local artist who was born in 1857 and died in 1922, on Friday after extensive renovation work. But an art historian brought in to reorganise the museum following the recent acquisition of around 80 paintings, found that nearly 60 percent of the entire collection was fake. “Etienne Terrus was Elne’s great painter. He was part of the community, he was our painter,” said mayor Yves Barniol on Friday. Eric Forcada, the art historian who uncovered the counterfeits, said that he had seen straight away that most of the works were fake. He alerted the region’s cultural attache and requested a meeting of a panel experts to confirm his findings. “At a stylistic level, it’s crude. The cotton supports do not match the canvas used by Terrus. And there are some anachronisms,” Forcada said. In all, out of the 140 works that make up the collection, 82 were fake. Elne’s mayor Barniol insisted that the investigation would be continue until the culprits had been found. “We’re not giving up,” he said.